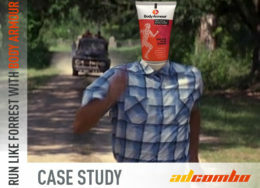 Outbrain.com is one of the best native ad platforms. Read between the lines – you will get one of the strictest moderations in your entire affiliate marketing life. This ad platform is famous for its mission: giving their audience the best of the best and living up to their expectations. One of the top managers of the company, Ori Lahav has been talking about this motto non-stop for 11 years. But let’s get down to business! It means if you choose this ad network or something similar (as Taboola or Adblade) you should be ready for a fierce fight for your ad campaign. This fight will be on two fronts at the same time: against moderators – for your content, and against competitors – for your audience. But if you win the fight, you get royal quality traffic for sure. The main evidence is this: CNN and Washington Post have been Outbrain’s loyal customers for a long period of time. Not bad, right? So there are no limits for the brave and we took this ad network’s challenge. Our triumph didn’t last long. Our creative materials couldn’t get enough traffic at the beginning, that’s why CTR was very low and bid price was high. We were fortunate to have good prelanding pages and the landing page of the product that AdCombo provides their customers with. Thus, it was enough to make a good profit without the need to waste time and make our own pages. 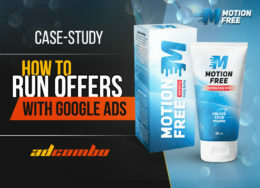 We saved a lot of our energy and money owing to this AdCombo’s option. You can see these pages below. After we got a high CTR and bid price became low, conversion rate became high as well – thanks, AdCombo (or /not God), for a good landing page. After our ad campaign was approved, we continued adding our creative materials further. Our main purpose was to get a much lower bid price to enable us to work with profit. Users started clicking on our ad, CTR became great, and so we achieved the lowest bid price – 3 cents per bid – BINGO! Our campaign started bringing good profit + 4K (almost 100% ROI)! 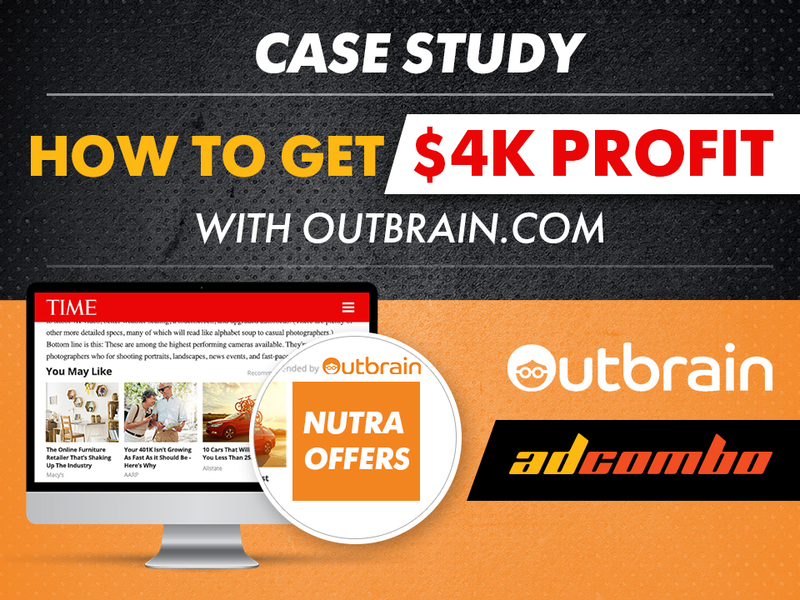 1) A good ad network (native ads) with strict moderation and high-quality traffic – outbrain.com. 2) Good AdCombo nutra offer for low-competitive GEO. 3) Perseverance and patience (the affiliate marketer’s personal characteristic) to get approved and reach the lowest price per bid (3 cents). One week with no profit. 4) Affiliate network’s prepared pre-landing and landing pages of the product. This guarantees a good conversion rate. The result of good creative materials is high approval rate (65.94%) as well. 5) Not a bad result: 4k profit! You can see the statistics below. Good luck with AdCombo offers! What language do you use in teasere? The same language that the target geo has.